Holi is the Indian festival of colors. The DISCC children gathered with the children from other NGOs and also some Westerners to celebrate the festival. In October 2016, Jean-Max Tassel, founder and president of Deva-Europe, lost his father, Dr Max Tassel. He had been a magician as a hobby ever since he was seven years old. 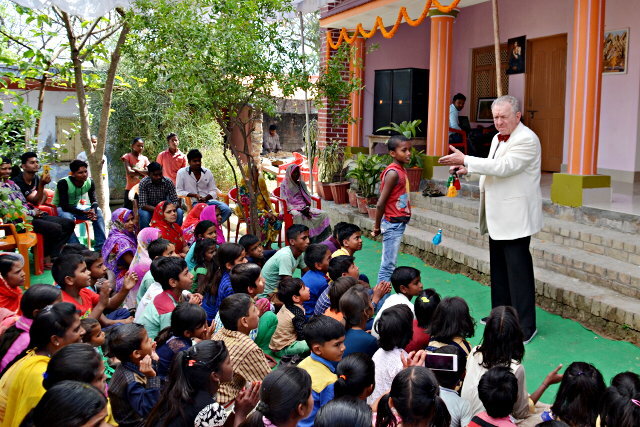 As a tribute to his memory, one of his friends, a Belgian priest, Alain Slim, who had officiated at his funeral, came especially to Varanasi to present a magician’s show to the children and their parents. 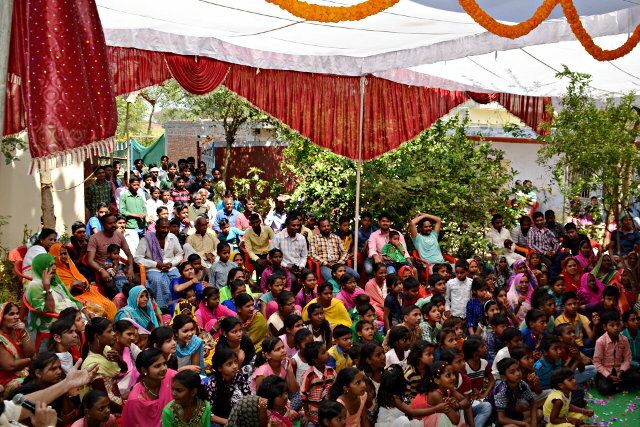 He first presented his show at the Annapurna Center in the village of Bachhaon on March 14, 2017, for an audience of over 100 people. Before the show, according to tradition, the young women from Annapurna Center and its founder Vidya Patel, as a sign of honor, put garlands of marigolds around his neck. 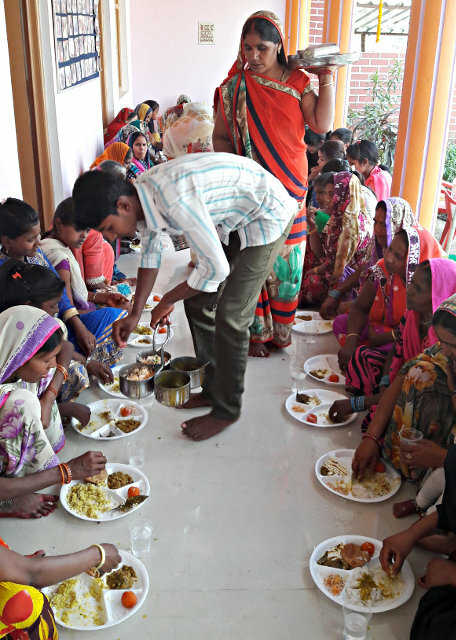 After the show, they had prepared a delicious lunch, which was very much appreciated by all. 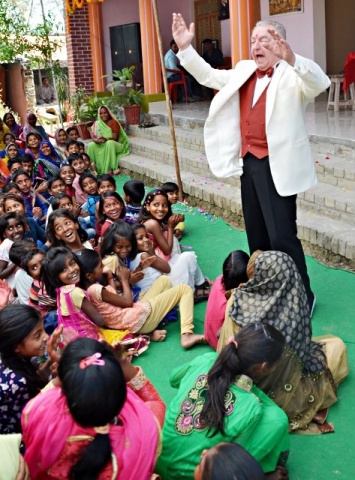 On March 15, Alain Slim renewed his performance at the Deva Center in Varanasi, this time not only for our children from the Deva Center but also children from other schools. There was an audience of more than 200 people, children and parents who marveled at the magician’s show. Afterwards, a snack was offered to all.